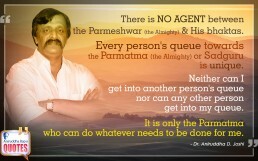 There is NO AGENT between the Parmeshwar (the Almighty) and his Bhaktas. Every person’s queue towards the Parmatma (the Almighty) or Sadguru is unique. Neither can I get into another person’s queue nor can any other person get into my queue. 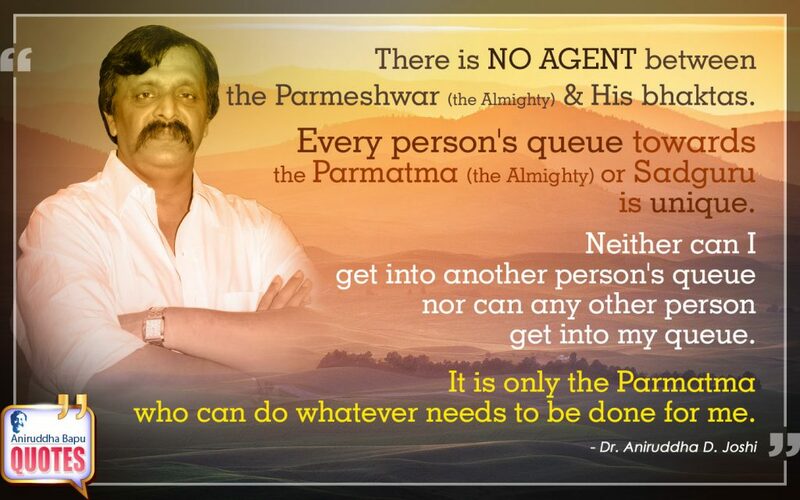 It is only the Parmatma who can do whatever needs to be done for me. There are people who, if faced with even a small problem, get scared while there are others who take even a huge problem head on. These people, who face a problem without tottering, or getting scared, or without bowing or breaking down are the Bhaktas.